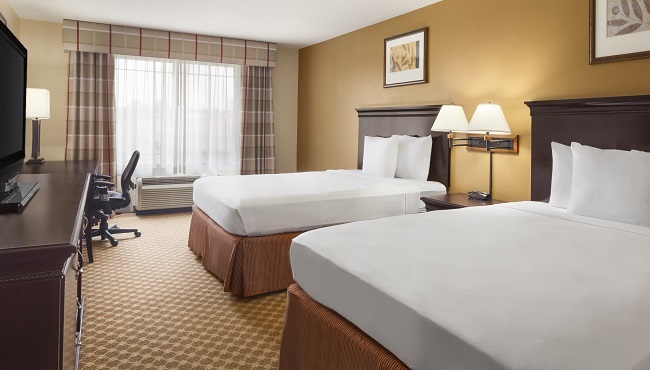 Located next to Fontana and Rancho Cucamonga, the Country Inn & Suites, Ontario at Ontario Mills, CA, hotel provides a convenient stay with desirable amenities. Enjoy complimentary entertainment thanks to free Wi-Fi and a 37-inch HDTV with HBO. You can heat up a snack in the microwave, enjoy your favorite drink from the fridge or order room service from a local restaurant. 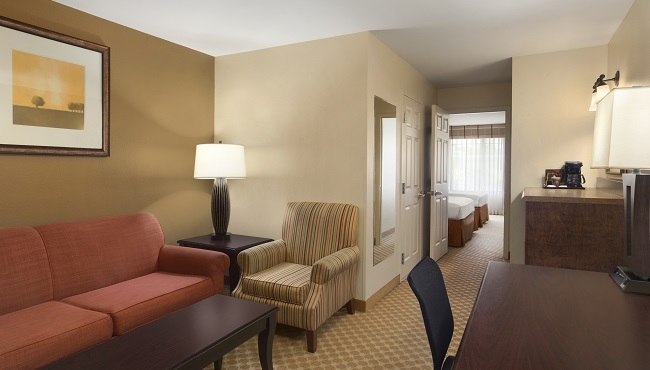 For additional space, reserve one of the many suites. Guest must be 21 years of age to register at the hotel, and we do not accept cash upon checking into the hotel. All guests must present a valid credit card along with matching identification at check-in. The hotel will authorize for the amount of all room and taxes plus $50 for incidentals at check-in. If incidentals were never used, then the $50 will be released upon check-out at the cardholder's bank's discretion. Prepaid cards or cards without the guest's name will not be accepted. 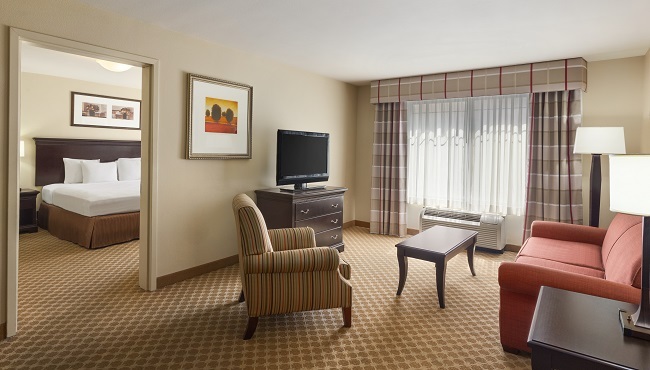 Kick back and relax in a guest room featuring your choice of a king or two queen beds and all of our standard amenities. 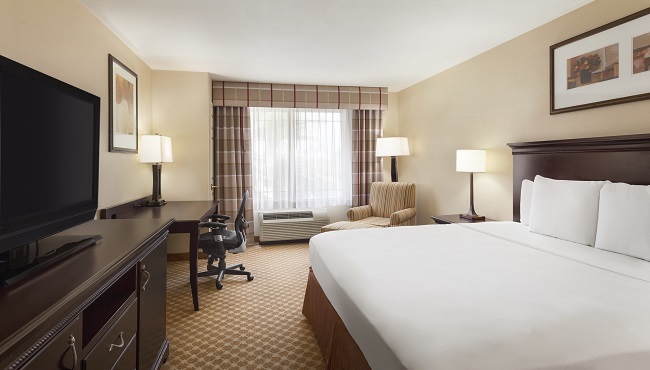 Ideal for business travelers, the extra-large Studio Suite boasts a comfortable king bed and plenty of space to work on projects and presentations. 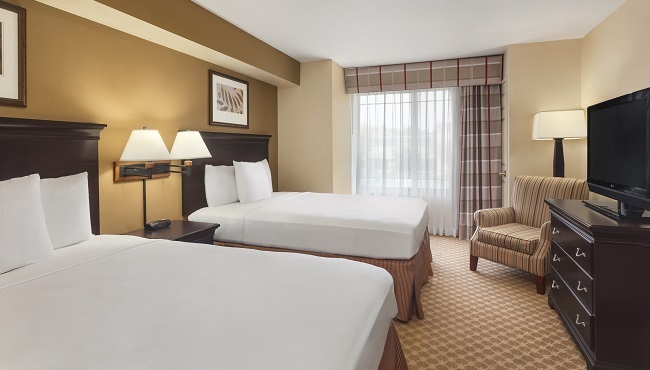 Choose from a king bed or two queen beds and enjoy a relaxing stay in a One-bedroom Suite, which offers a separate living area. Additional perks include a chair, a coffee table, a second phone, an additional 37-inch flat-screen TV and a work desk with an ergonomic chair. 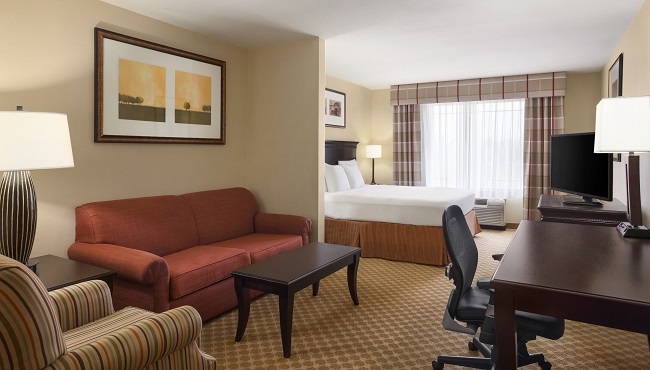 After a busy day, unwind in the separate bedroom with a king bed and a 37-inch TV. Or kick back in the living area, which includes a sleeper sofa and a dining area with a table with four. 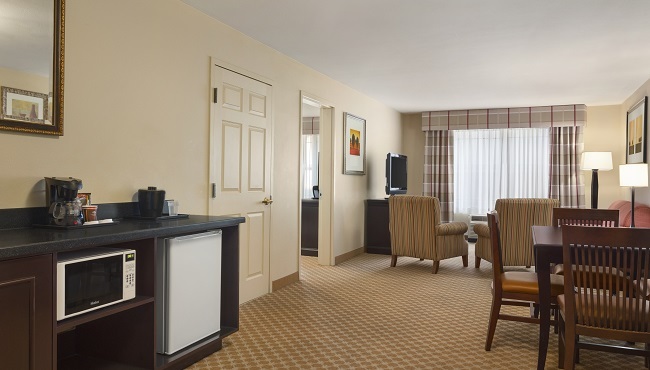 Only one Extended-stay Suite is available, so reserve in advance. A relaxing stay awaits you in our oversize Whirlpool Suites, which feature an in-room, two-person whirlpool tub, a dry bar and a king bed.